Globalisation is a worldwide force that will have a significant impact on any commercial brand, many of which are key clients for the delivery industry. Those looking to expand into world markets need to be prepared to take on the challenges of international customers. For many businesses this comes down to packaging and the way it can be used to contribute to brand perception and provide information to the consumer. It’s here that digital technology and smart packaging are set to have the most impact. For brands delivering products internationally, packaging is a big consideration. Physical packaging can be incredibly limited, not just by the space available but also what can be included. Multilingual packaging is expensive to produce and may have to be manufactured in multiple incarnations to take into account the range of destination consumers. It’s not just the language used that could require different packaging for alternative destinations – cultural appropriateness may also require product packaging to be repeatedly reproduced with small changes for consumers in a range of locations. There are all sorts of cost implications to this, including the unpredictable nature of demand in new markets and the fact that the expense involved in packaging for overseas markets needs to be reasonable enough to also enable overseas shipping costs to be factored in. Technology, such as digital labelling, is beginning to open up many more options for retailers when it comes to accommodating the needs of being a global brand. Digital labeling is simple and cost effective, using electronic triggers on product packaging (e.g. 2D barcodes) to direct customers to a specific online destination that has all the necessary product information in the right language and with the correct cultural cues integrated into the content. For example, if the barcode is scanned by a phone with a French language preference, the information supplied will be in French and tailored for France. Smart packaging can be adapted easily and quickly, based on customer need and location. If edits need to be made or new locations added this can be done with ease. Packaging is one of the biggest associated costs for those businesses that regularly require the delivery industry. 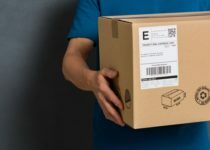 There are a lot of moving parts today when it comes to managing packaging costs for an individual business and smart packaging is a great way to simplify this. Not only does it allow brands to be more responsive to changing business or customer need but it can bring packaging costs down too. If changes need to be made to packaging, for example, there is no vast reprinting and reproduction cost, as the alterations are made online. One packaging design can be produced for every location with the country-specific information provided in the digital space. This should make it easier for brands to enter new markets and take advantage of new opportunities, as well as creating more engaging and effective packaging design. Thanks to digital technology and smart packaging it will soon be much easier for any brand with the right delivery support to go global. If that’s one of your objectives we can help to support your goals with a range of delivery services – contact UCS today to find out more. next post: How can you choose the right courier service to suit your business?